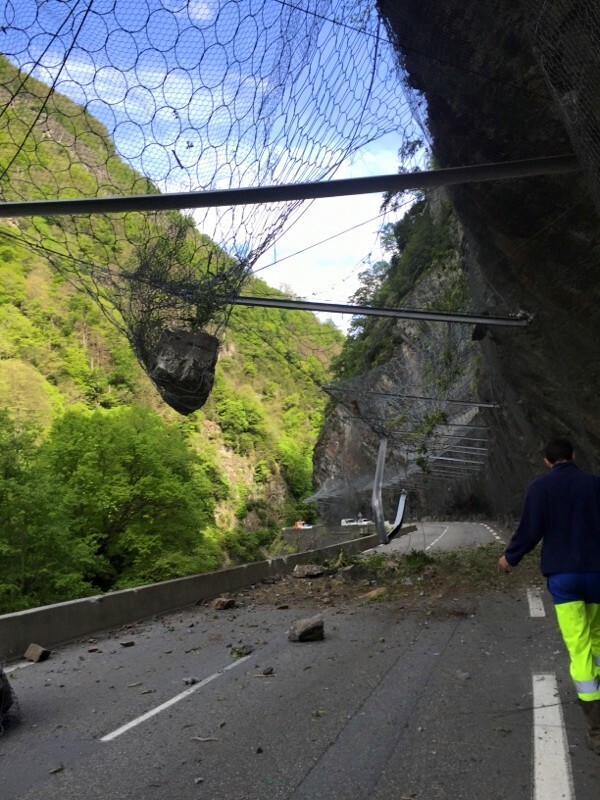 The road D921 through Gorge de Luz is closed due to a rock slide. This is the road on the western side of Col du Tourmalet. There has been several small earthquakes in the past week and it seems that they have loosened some rocks. At the earliest the road will reopen tomorrow, Friday 20th May. However it has been suggested that it may be several weeks. This is a recurring problem at this part of the road.